Business name printed on all medal ribbons. 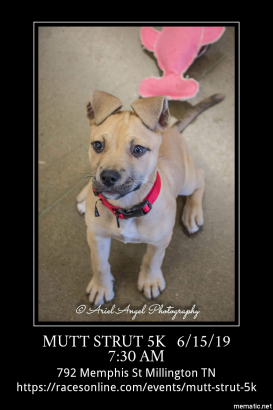 Prominent recognition on muttstrut5k.com and dogs2ndchance.org websites with logo as 2019 Presenting Mutt Strut 5k Sponsor. Frequent acknowledgements and thanks throughout the event and on social media. Acknowledgements and thanks during the event and on social media. ALL Sponsors are invited to set up a tent and tables outside the gym. The above named business/individual agrees to participate as a sponsor at the level indicated above. Dogs 2nd Chance agrees to provide the benefits described in the sponsorship document.